Great low-wattage tone with the punch of a 2x12". The 4-Aces takes the Casino series two channel preamp which uses three 12AX7 tubes and mates it to a unique push-pull class AB output stage which uses 6SN7 triode preamp tubes as power tubes. 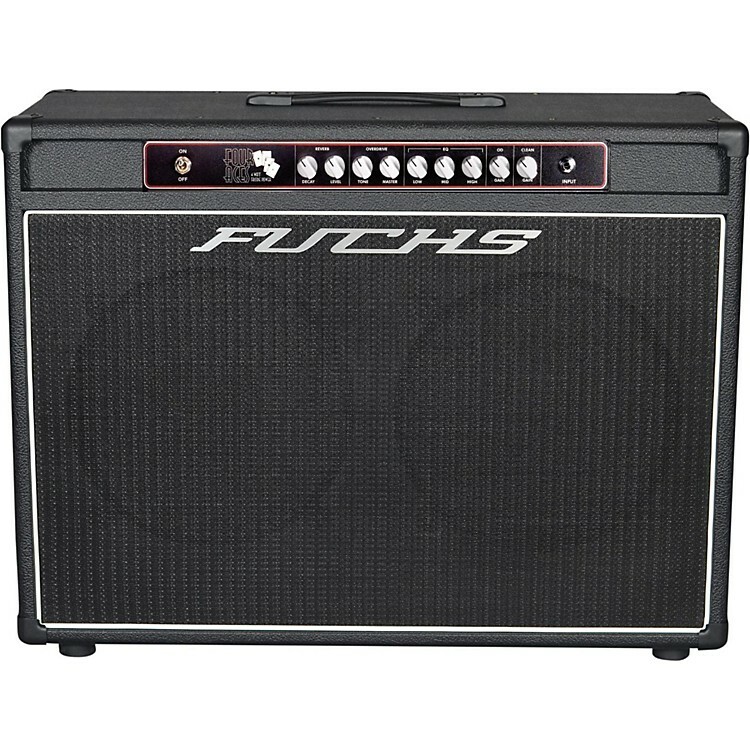 Like all the Casino Series amplifiers, the 4 Aces 4W 2x12" guitar combo features two channels: A clean channel with a volume control, full treble, middle and bass controls, and an overdrive channel with independent input gain and output master controls, as well as a unique overdrive tone control. This control allows anything from "woman tone" through Dumble style to English bark from the overdrive channel. A footswitchable gain boost adds up to 20dB of quiet gain boost. On the clean side, the boost adds snarl and grind with even the lowest of pickup outputs. And, on the overdrive side, it adds saturation and compression. Like the entire Casino series, the 4-Aces features a warm and round digital reverb with level and decay controls, and is mixed to not affect the dry tones in any way. The amp features 4, 8 and 16 ohms speaker outputs, a series FX loop with buffered send and a jack for the included 2-way footswitch (overdrive and gain boost).